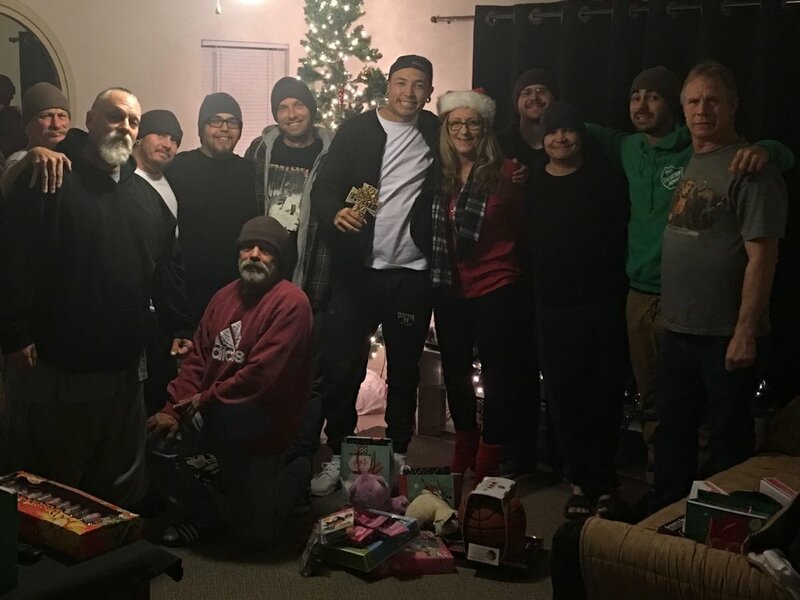 We are grateful to all of our supporters for helping our Men's Homes have a Merry Christmas. A special thanks goes to the Redlands Church of Christ for their donations and support in making this a special holiday season. 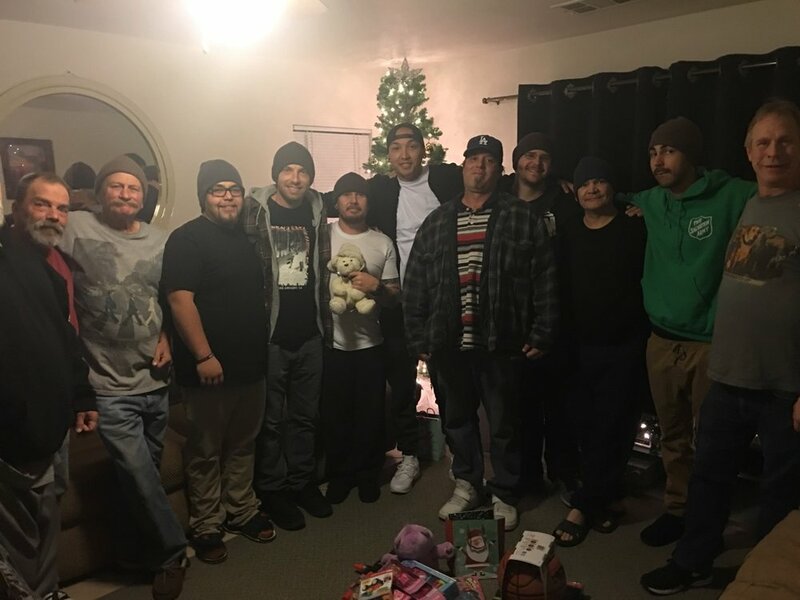 The men made a delicious Christmas dinner and exchanged gifts. 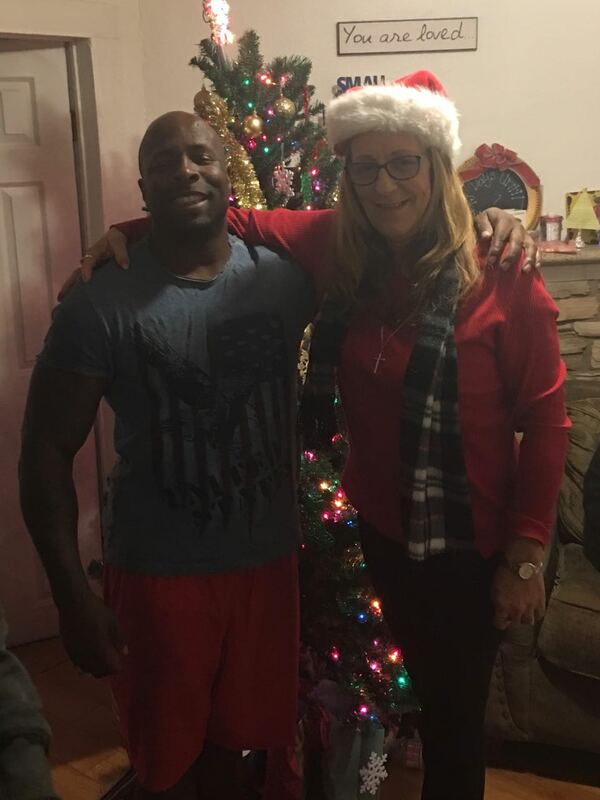 Cynthia stopped by to wish them all a Merry Christmas and Happy New Year in 2018. It was a great day for everyone. Cynthia wishing the men a Merry Christmas.